Got up early to go to two car boot sales today. First one was dry, barely any vinyl/seedees around and I clocked two semi-professional diggers that would scoop up anything remotely interesting. The kind that hang around newly arrived cars, rummaging in boxes as they are taken out of the trunk, generally over-protective like firmly blocking adjacent crates they have yet to dig with their elbows. Second one was more rewarding, at least six crates of vinyl to dig in. And I came home with three records, courtesy of Eva who had carefully named the records with a marker. 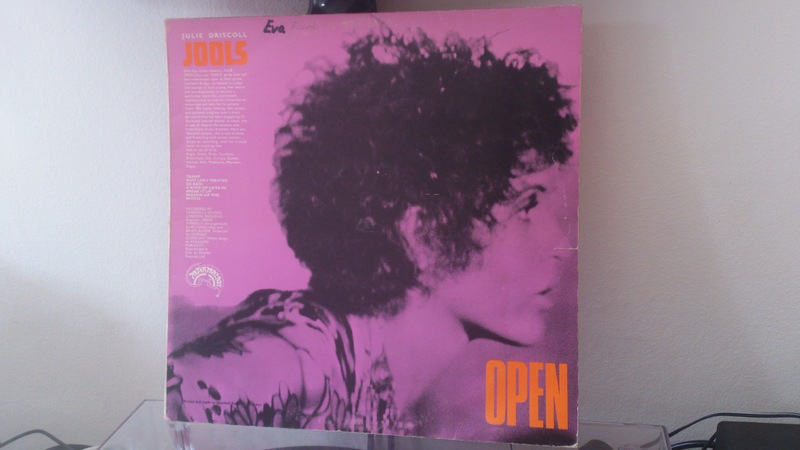 Best of the lot was definitely Open by Brian Auger, Julie Driscoll and the Trinity. Soul jazz with the right groove. 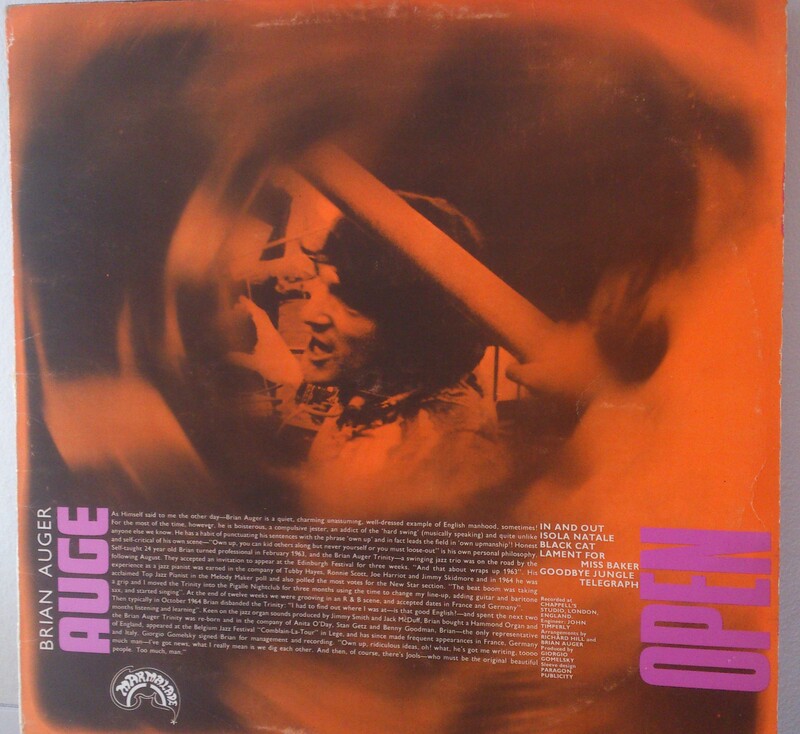 They have one side each, with Auge’s being mostly instrumental, but I think they are equally enjoyable. It appears Eva bought it in the UK, as there is a small £2 price sticker. If I had noticed, I would have asked Eva. 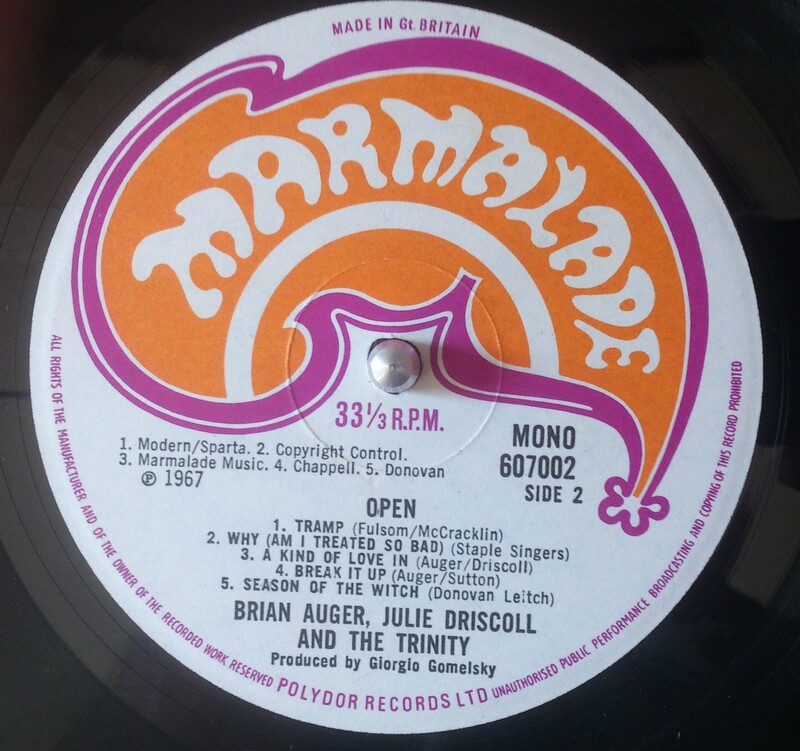 It’s a UK mono press on the gorgeous Marmalade label. Came with no inner sleeve, and some light marks but plays very good. These 60’s pressings can really take a beating, compared to newer records which can look NM but play F. I can see myself playing this tonight with a cocktail in my hand. This entry was tagged Car boot sale. Bookmark the permalink. Sounds like digging is the same the world over (or at least in the UK and Sweden). Describes my average weekend dig at the car boots perfectly. Great to see a new blog! I will blogroll you. Thanks, I suspected as much from what I read in yours and other blogs.